Caribbean Pools specialize in new pool construction! We have the experience and technology to build the pool of your dreams. The summer in Arizona can be unbearable, but having a swimming pool can help! Caribbean Pools can turn your backyard from boring into amazing! We specialize in new swimming pool construction and have the experience and technology to take your backyard to the next level. We can make your backyard the place to be during those hot summer days. Swimming pools are a great addition to any backyard and offer a number of benefits. You can cool off during the summer months, get the family together for a barbeque and swimming, or lap swim for exercise. Caribbean Pools wants you to get the most out of your backyard and we strive to make sure every customer is included in the design and building of every new swimming pool. 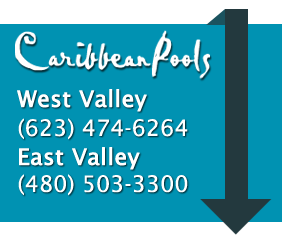 Don’t forget to Like Caribbean Pools AZ on Facebook! Give us a call or contact us today to get information about New Pool Construction in Arizona!